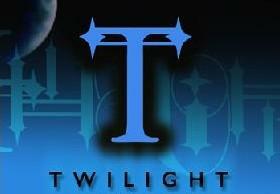 TWILIGHT III was held in Seattle, WA on September 26-28, 2008. Nearly 40 individuals from as far away as Virginia, Georgia, Ohio, Arizona, California, Oregon, and Washington attended this three-day conference conducted by members of the vampire community. The hosts for this event were Eric Bloodstorm of the Portland Vampire Community and Lady Slinky of VCMB and the greater Seattle area. Against the backdrop of the beautiful Pacific-Northwest, vampires of a variety of paths gathered to discuss topics of importance on both an individual and larger community level. Presentations were held by Michelle Belanger, Pam Keesey, Lady Damiana, Soma, Merticus, Zero, Case, and J.C.G, along with discussions involving Zilchy, Brad, Cole, Stygian Grey, The Pink Lady, Eric Bloodstorm, Lady Slinky, and Daemonox. Presentations ranged from the vampire archetype to community building to shamanism to current vampirism research to skepticism to the law as related to vampires and donors. Discussions were spirited and often stretched well into the evening past the allotted schedule and even carried on throughout the dinners and outside the meeting room. Differences in viewpoints were clarified, ideas fostered, and friendships forged. 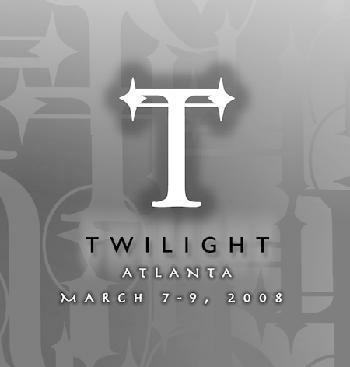 TWILIGHT II was held in Atlanta, GA on the weekend of March 7-9th, 2008, and was officially hosted by the Atlanta Vampire Alliance and Atlanta Vampire & Non-Conformists Meetup Group. Presentations were held by Jason Crutchfield and Michelle Belanger of House Kheperu, Merticus, Zero, and SethNunMin of the Atlanta Vampire Alliance, Alistair of House DarkHaven, Tau Peristera De Magdalene and Tau Heosphoros Iacchus of Liberi Sanguinis Luciferi, RavenHarte of Clan Caladvwlch, Stephen O'Mallie of Clan O'Mallie and House Vengeance, along with discussions involving Aislin Ni MorRhiaghan, Khan, Lady Onyx Ravyn, Allen Greenfield, and Daemonox, and group discussion of the much debated documentary, Vampyres: When Reality Goes Beyond Fiction. With an outstanding attendance of 75 people along with representation from 9 Houses and 3 other non-vampiric groups, this gathering brought together attendees as far away as California, Ohio, Colorado, Virginia, Florida, Tennessee, Texas, North & South Carolina, Alabama, along with the greater Atlanta and Savannah region. TWILIGHT I was held in Los Angeles, CA on October 30, 2007, and officially hosted by The Wretched eList (California Vampires), and the Los Angeles Vampire Meetup Group. Originally intended as a one-off occurrence, the evening began with a formal banquet dinner on one level, and progressed to presentations and discussions on a second level. Presenting at this gathering was Michelle Belanger (of House Kheperu and author of The Psychic Vampire Codex), along with Merticus and Zero (of the Atlanta Vampire Alliance (AVA), and Suscitatio Enterprises, LLC - authors of Vampirism & Energy Work Research Study). With an attendance of 50 individuals, representative of many notable and active community members from the Southern Californian region, as well as attendees from as far away as South Carolina, Ohio, Georgia, and Northern California, this memorable gathering was heralded as a success and quickly demanded encore.